Let’s face it, most manufacturing Facebook business pages are easy to ignore, and it’s not hard to see why. They’re bland. They look like other industry pages. They don’t offer a lot of unique value to prospective customers. But, you’re not like most other manufacturing businesses, so why should your Facebook page be? 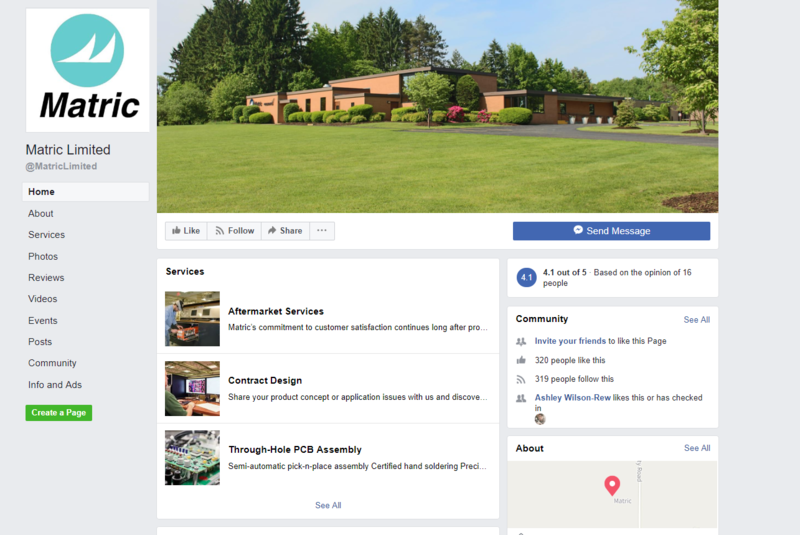 Facebook for Manufacturers: You Can Do It Too! Creating a Facebook business page can seem daunting, let alone creating one with features that stand out. But, there are a lot of small manufacturers doing this -- so you can too! Denny Manufacturing has been in the film and photography for over 45 years. They manufacture backdrops, props, floors, and studio accessories for those in the photography industry. 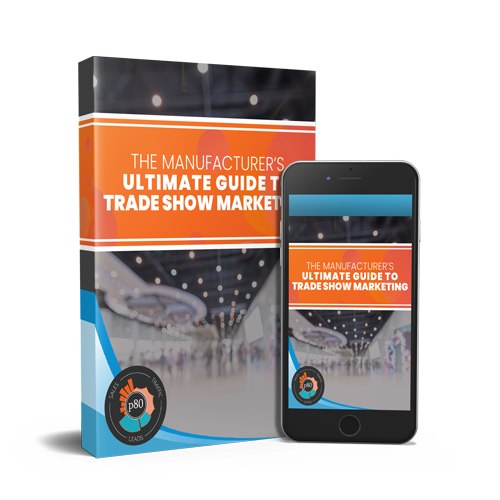 Because you’re able to access these the moment you visit the page, customers can easily find what they’re looking for, without having to weed through old posts or other tabs to find it. 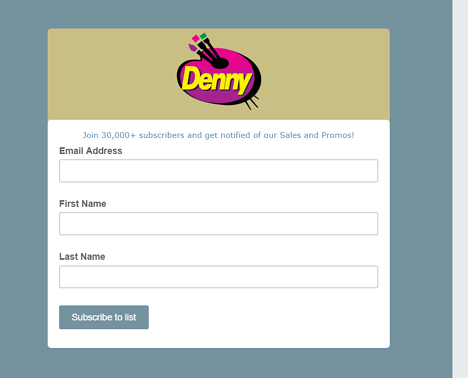 For Denny, this is a great way to acquire leads. Mentioning that 30,000+ people already subscribe is a great way to tap into social proof. For their prospective and current customers, this is an easy way to access more information about the company and stay up-to-date. Copy This Tip: To integrate helpful tabs like this onto your business page, simply go to Settings and then Edit Page. You will easily be able to rename tabs, arrange the order, and customize the content in no time. Great Lakes Case & Cabinet Co. specializes in the manufacturing and integration of indoor and outdoor enclosures that store and protect important IT equipment for many businesses and industries. The first place to spot the slogan is in the profile picture. This is important because the profile picture is one of the most prominent elements of Facebook; not only is it oftentimes the first thing visitors to the page notice, but it is also seen on any post that shows up in the Newsfeed. Having a punny slogan can help entice those who are unfamiliar with the company to click out of curiosity. Copy This Tip: If your company does not have a captivating slogan, make one! Build your manufacturing brand awareness overall, and your slogan will follow. After that, follow Great Lakes’ example by including this slogan on your website, your social media, and even in your traditional marketing efforts -- like trade show pamphlets and billboards. Be consistent! Linde Hydraulics is a global manufacturing company that develops and supplies modular drive systems including hydraulics, electronics, and electrical engineering. They frequently share fun photos of their team and the fun events that their company is participating in. While of course it is important to share educational content and industry related info on social media, including fun content is what makes your company seem human, and ultimately what makes prospects want to interact with you. Linde Hydraulics does a great job of finding this balance. Copy This Tip: The next time your company has a fun event like a team lunch, happy hour, or charity golf tournament be sure to take and post a lot of photos. Make sure your caption explains what was going on (like the caption in the example above), so those who are not in your company know what was going on! Matric Group specializes in electronic contract manufacturing, contract design services, and aftermarket services with innovative technology and practices. 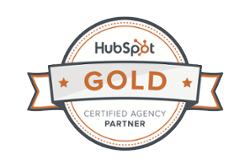 When you visit the page, their services are front and center. A prospect doesn’t even need to scroll down in order to see what Matric does, and how it could help their business. Having images and a brief description under each service adds that “at-a-glance” appeal to the page. Copy This Tip: If your services are the focal point of your manufacturing business, and they probably are, make sure they’re the focal point of your page. Go beyond simply adding a services tab by making sure that it is listed first in your sidebar. You can do this by reordering your tabs in Settings. Synergy Manufacturing specializes in the manufacturing and distribution of high-end automotive performance components. They began in 2005 with premium suspension products and systems, and has expanded to skid plates, bumpers, and other products. The video features clips of their products being manufactured, as well as the final result of the products in vehicles. Additionally, a Synergy expert talks viewers through what they are seeing in the video making it educational and helpful for prospects. 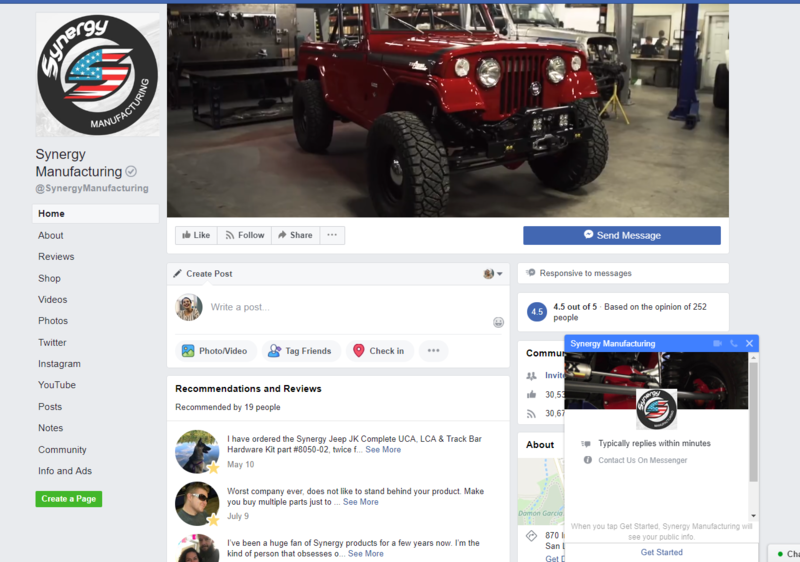 A cover video is not something that is seen everyday when visiting a manufacturing business’ Facebook page, which makes Synergy stand out in the industry. Copy This Tip: The first step to achieving this is filming a high quality, educational, video that explains what your manufacturing company does -- focusing on highlighting services, capabilities, and products. Go the extra mile and tie in the other tips mentioned above by including your slogan and any pictures or videos of your staff, as well. Ideally, this video acts as your visual elevator pitch to any prospect that visits your page. Once you have the perfect video, simply upload it to Facebook in place of your cover photo. Be sure to add a link to your website in the caption! 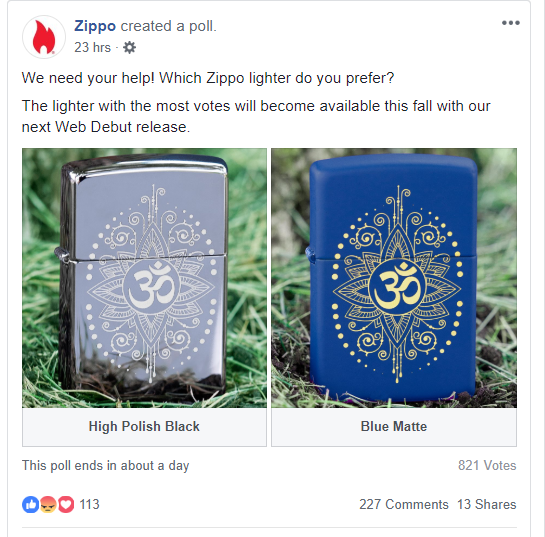 Zippo Manufacturing Company is known for revolutionizing pocket lighters in 1933. They have manufactured lighters in the 80 years since, but have moved into other product lines as well such as hand warmers, fire starters, and even eye-wear and other accessories. Not only is this a great strategy for increasing engagement on their page, but it is also a great way to develop new products. Think about it: Wouldn’t you be more likely to purchase a product that you voted on? It’s important to let your customers (+ prospects!) know that you care about what they think. Copy This Tip: If your company is in the throes of new product development, and aren’t sure which direction to head next, ask your customers to decide on Facebook. It’s as simple as creating a post, and choosing the poll option! Ask your customers what type of content they prefer to see on your page. Do they like videos best? Or blog posts? Ask them what other social media channels they frequent so you know where else to focus on sharing content with them. Do they love LinkedIn? Or prefer Twitter for connecting? Want Some Help Developing An Awesome Manufacturing Facebook Page? We’ve got quite a few other tips and tricks for manufacturers up our sleeves, and we’re happy to share them with you! Give us a call any time and we can help talk you through your social media strategy.